After our archery session at Kodanda in Eastwood, the boyf and I tagged along with our good friends Berylle and D, to BGC to check out The Gourmand Market, a weekend food market fronting Bonifacio High Street Central Square. We also strolled around the area to scout for new restaurants and shops. And when it was already time for dinner, we thought we'd go ahead and visit Uptown Mall and Uptown Parade. It's been a while since the last time the boyf and I went there, so this ought to be fun! There are actually a whole lot of new and interesting restaurants at Uptown, especially Uptown Parade. 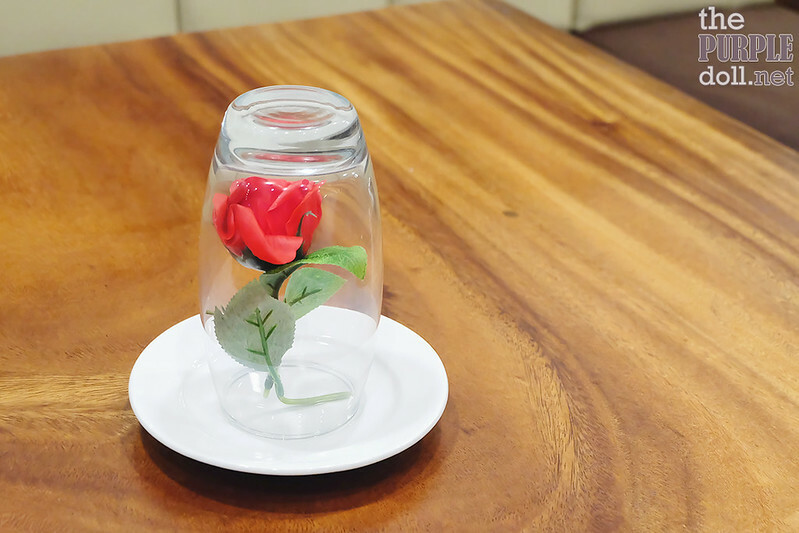 After circling both the mall and the restaurant complex, we went ahead and settled for Char Casual Dining on the second floor. I actually didn't know about this restaurant prior to visiting, but our friend D has nothing but good things to say about it from trying the place before. 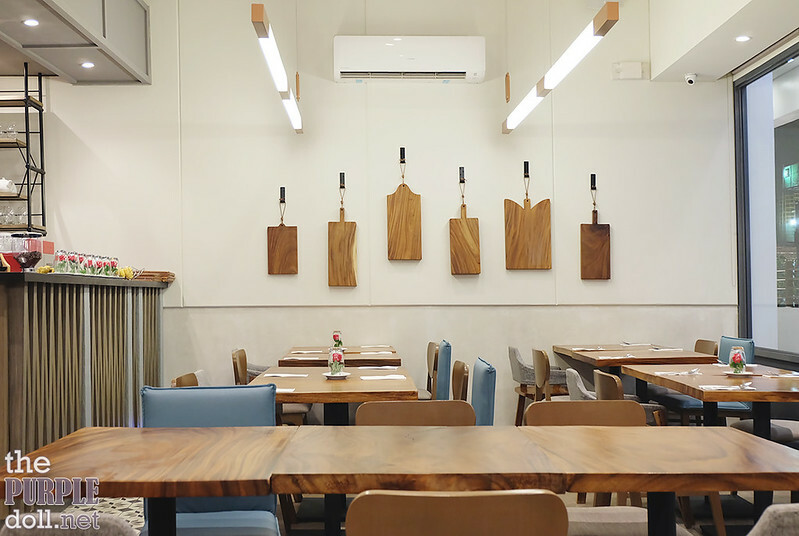 The interiors are pretty simple, but has an inviting warmth from all the wood, despite being streamlined and modern. 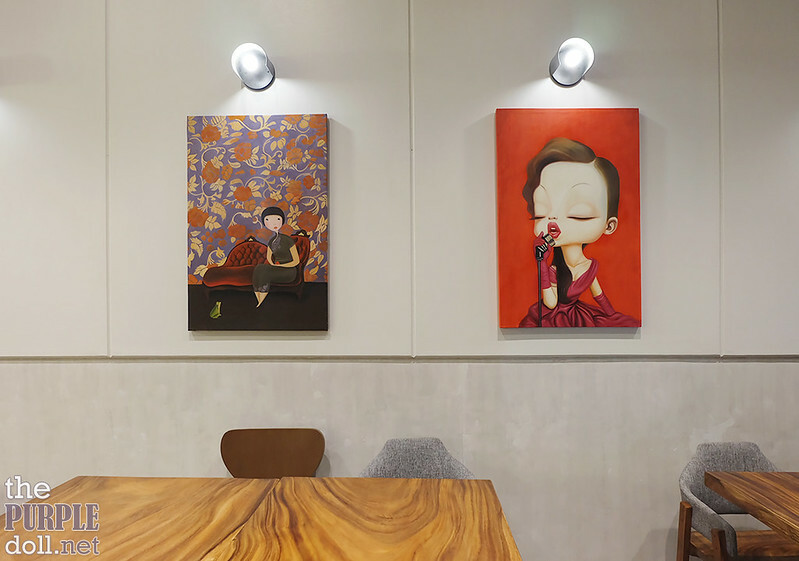 There are also a few fun artwork pieces hanging on the walls which add more color and quirkiness to the place. We were all quite hungry already when we settled in the restaurant, since it was already a bit late, around 9PM. So we didn't really take long in deciding what items to order. 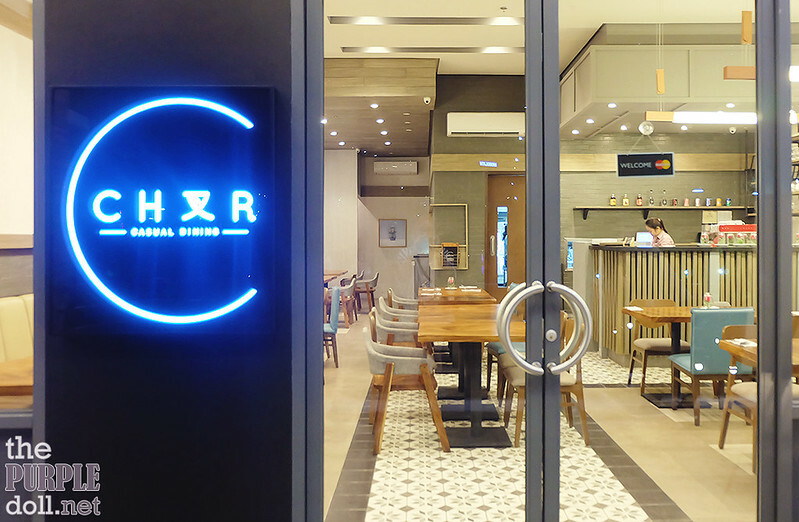 Since Char specializes in roasts, it was a no brainer that we'd try their roasts. To get a taste of more from their roasted offerings, we ordered this triple roast serving that came with the following. The Triple Roast is more than enough to share for our group of four, portion and variety-wise. 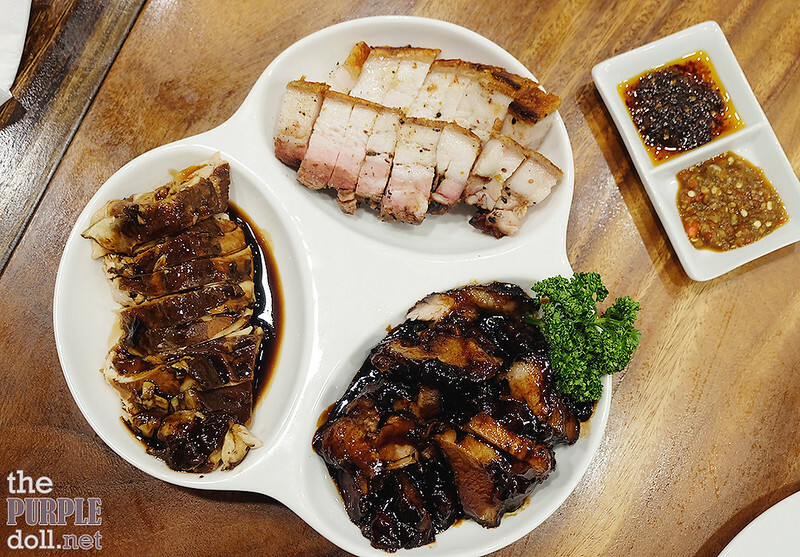 The Special Char Siew was pretty good. 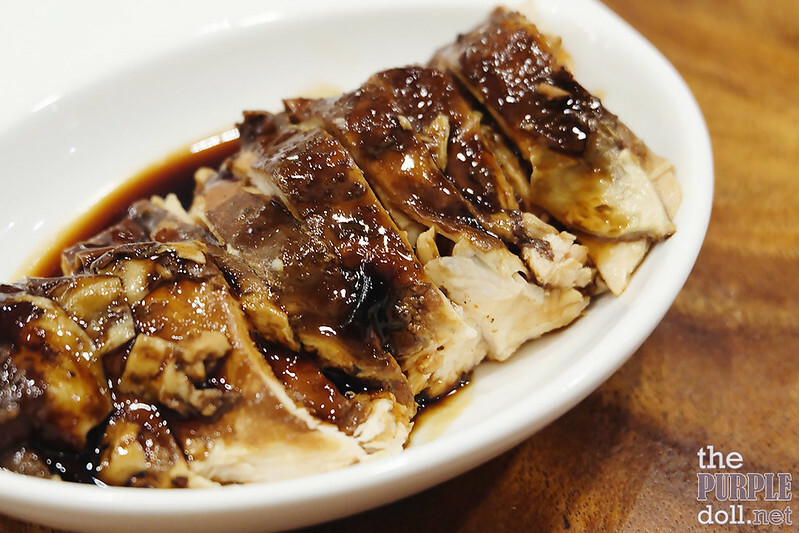 True to its name, it's Chinese roast barbecue with a glaze. I found the sauce a little bit too sweet and the meat a wee bit greasy for my liking, but it's said to be the restaurant's most popular dish. The Soya Kampong Chicken on the other hand, I dig flavor-wise. It's comfort food, especially when paired with rice, although I wish the meat were a little bit more moist. 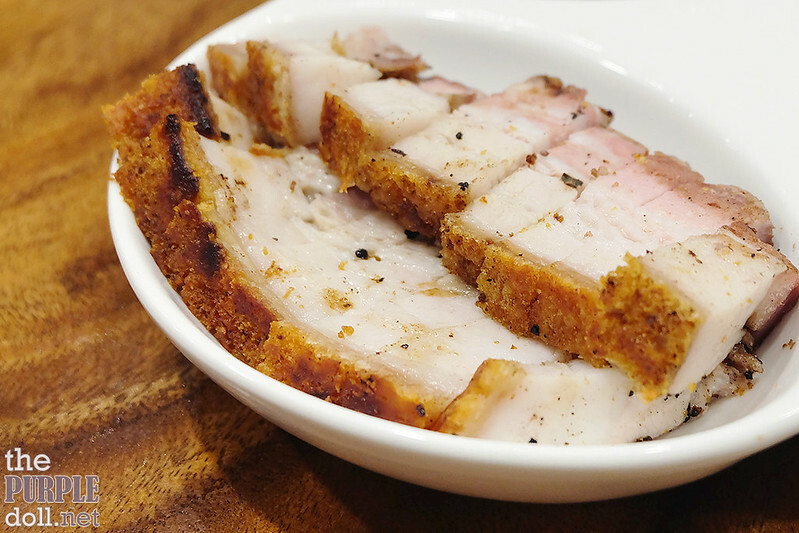 As for the Crispy Roast Pork Belly, this one I like the best among the three. It's salty and savory just the way I like it. It may have thrown off my companions a bit though, since it has 5 layers of alternating meat and fat, then skin. But I don't mind eating fat, so ish good. σ(ﾟｰ^*) It's also the most moist among the three. Although Char specializes in roasted items, I felt like these vegetarian dishes are the highlight of our visit. Even our friend D who has dined here before swears by their vegetable items. At first, I was baffled. But after trying them out, I totally agree! 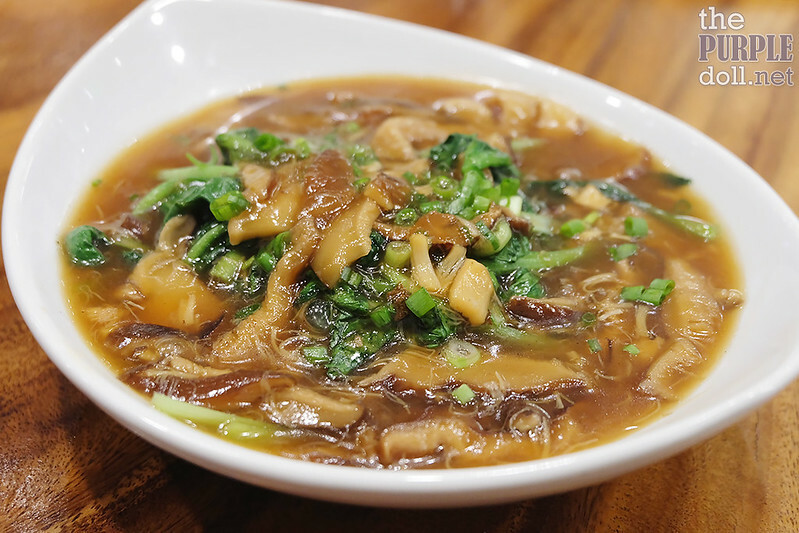 Both the Beancurd and Tatsoi (also known as spinach mustard) dishes come with the same thick, soy and mushroom-based sauce. The beancurd already comes with dry scallops, but we also opted for our tatsoi to come with the same, which is a bit of a shame since they both tasted exactly the same except for the main ingredient. Both were really good though, and gentle on the palate. But the next time I visit, I'll make sure to try the tatsoi with either garlic or sambal for a different flavor profile. Our friend D recommended to order this dish, and I'm so glad we tried it! 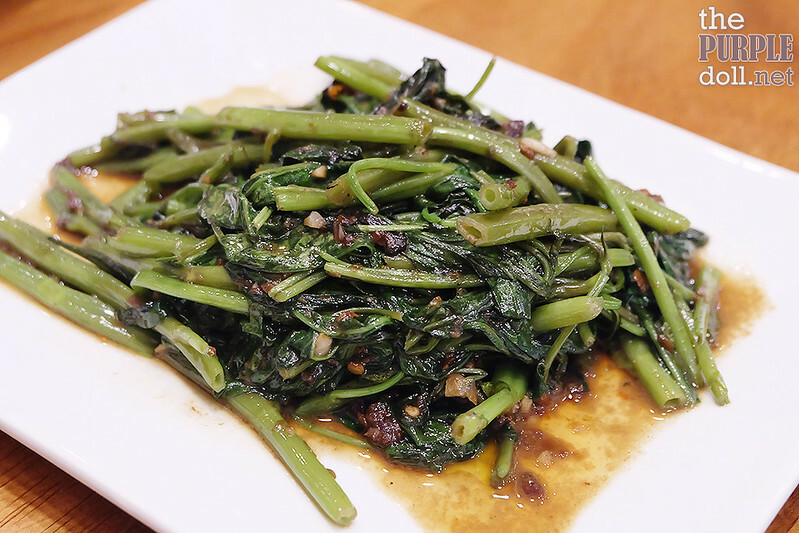 Chinese kangkong is always good to have. But add in sambal (a mixed chili peppers and shrimp paste sauce of Indonesian and Malaysian origin), and the vegetables will feel like starting a wild party in your mouth! Although the dish is a bit too spicy for my palate, I really love it. It pairs so well with rice, and I'm actually craving for it just typing this. 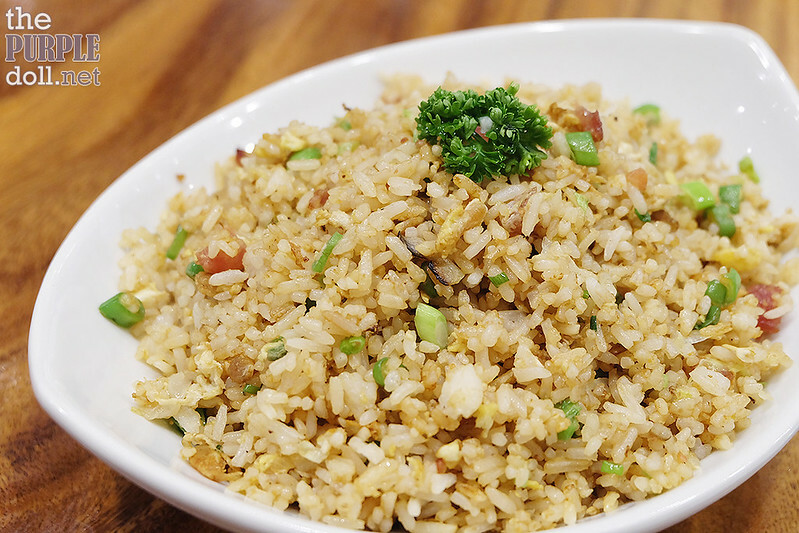 For carbs, Char offers four varieties of fried rice. We were actually thinking of getting either the one with chicken and salted fish, or this one with Chinese sausage and dried shrimp. And you can already guess with precision what we ordered in the end. Haha! It's a simple rice dish, but tasty and became the canvass for our main dishes. 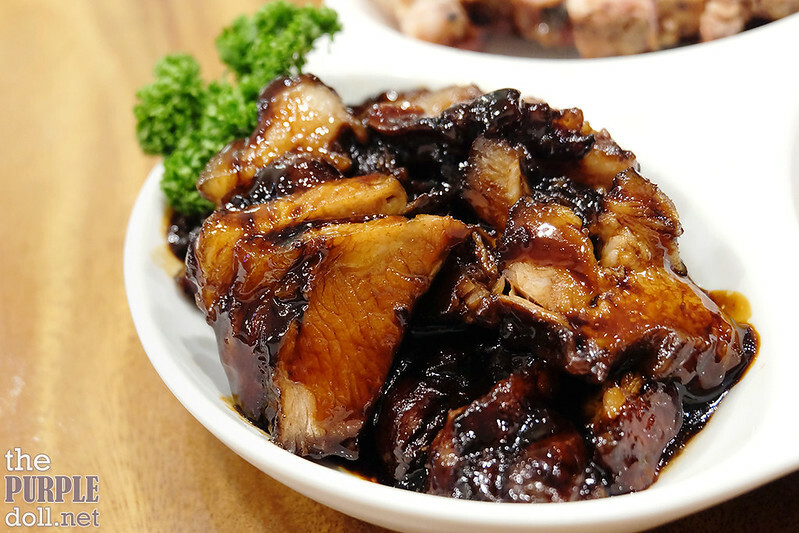 Although you can taste the Chinese sausage and dried shrimp, the flavors aren't too strong that it would meddle with our viands. Props to Char too for using great-quality rice! It's my first time to eat at Uptown Parade, and I'm glad it was at Char Casual Dining. Although the roasts weren't my highlight during our dinner, the vegetable dishes really won me over that I would gladly come back for them. 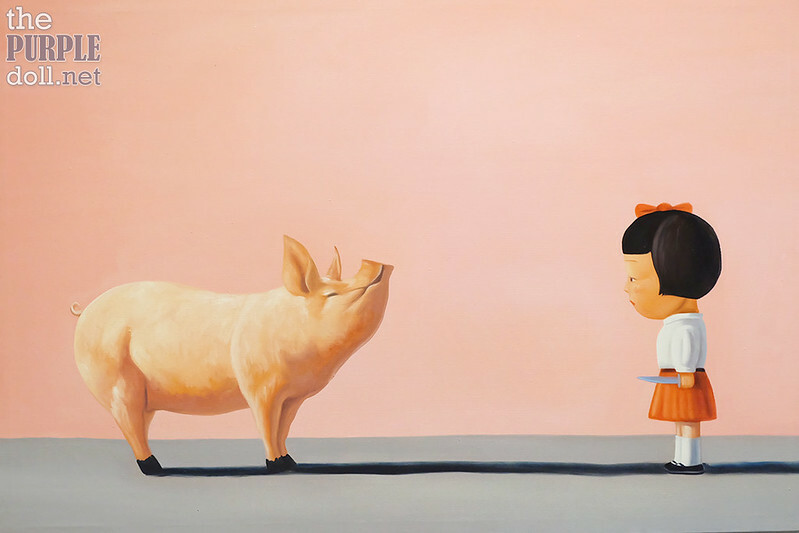 Their menu is also pretty wide, with other interesting Singaporean offerings using salted fish and salted egg. 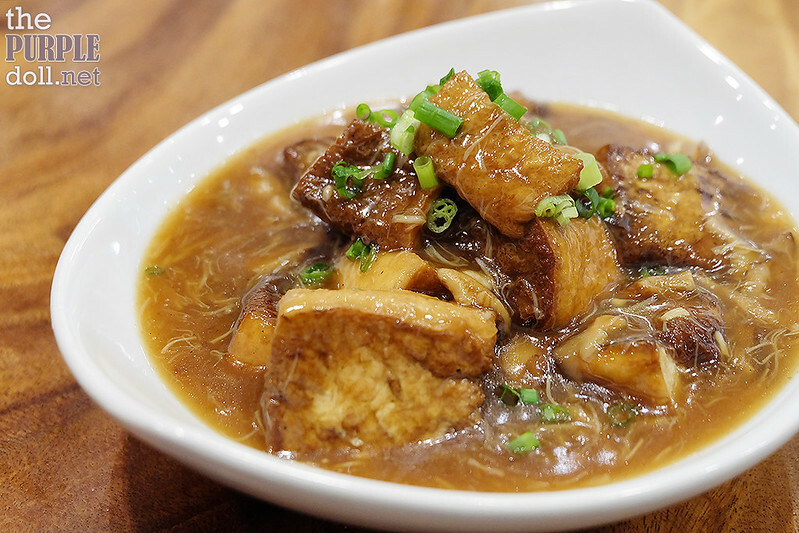 They also carry other items such as noodles, and a few dim sum perfect for a lighter meal. Service during our visit was friendly and prompt. And coupled with reasonable price tags and portion sizes good for sharing, Char really puts good value to casual dining.